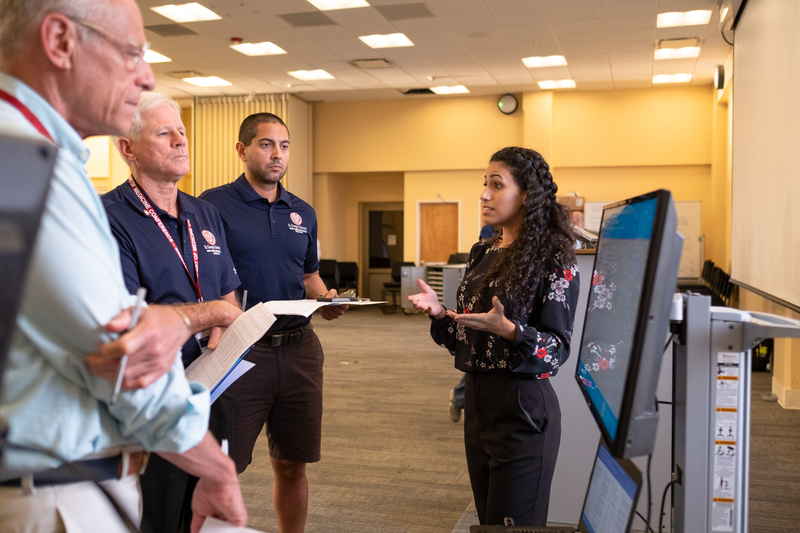 St. George’s University School of Medicine students present research posters during an alumni association continuing ed conference. Physicians are seen as experts in “the science” of medicine, but being an expert in “the art” of medicine is of equal importance. This art is the therapeutic and caring relationships that physicians build with their patients, which aids science in effecting a cure for illness and suffering. 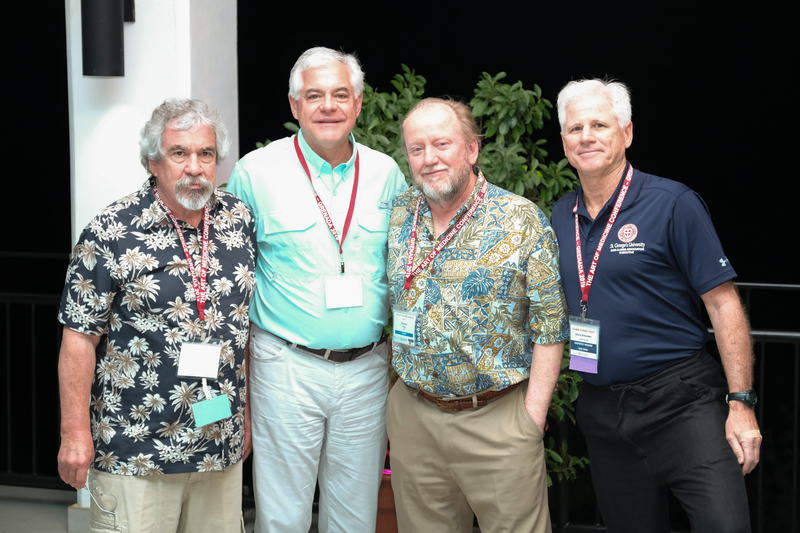 This spring’s School of Medicine Alumni Association (SOMAA) continuing medical education conference in Grenada examined medicine as a scientific study and its practice as an art. 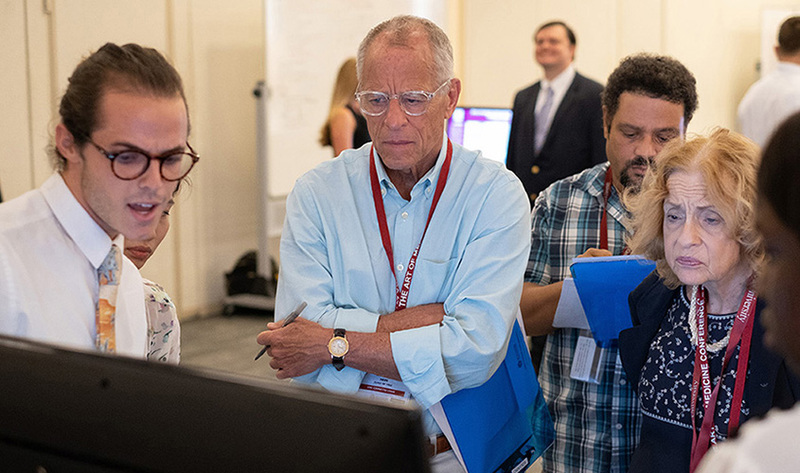 The four-day conference, titled “The Art of Medicine,” was held for the third time in association with the American College of Emergency Physicians (ACEP). It featured more than 50 prominent SOM alumni, including local faculty presenters discussing a wide variety of topics across the medical landscape. 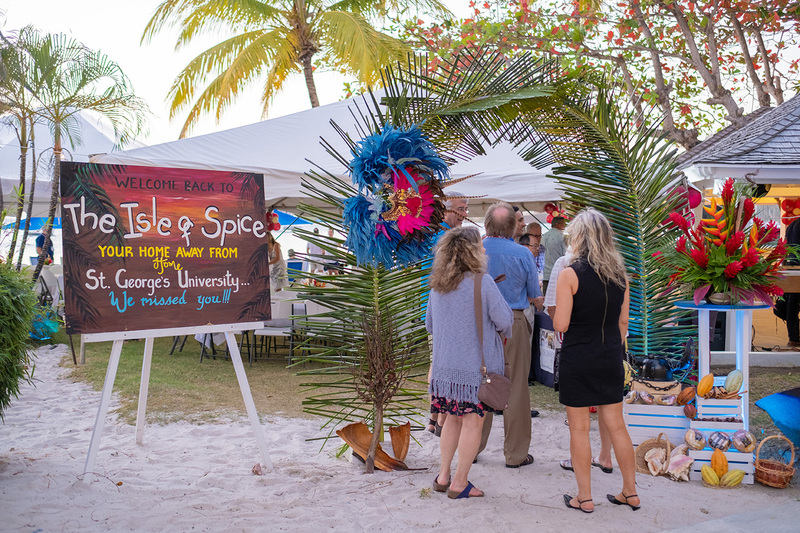 “With the size and quality of the conference growing each year, so does its value increase to both our alumni and current SGU students,” said SOMAA President Bruce Bonanno, MD ’83. “In addition to the alumni acquiring CME credits, the students benefit from alumni who are some of the top specialists in their fields. They can ask us the important questions about their medical careers going forward, allowing us the opportunity to share our insight about the rigors of this profession. 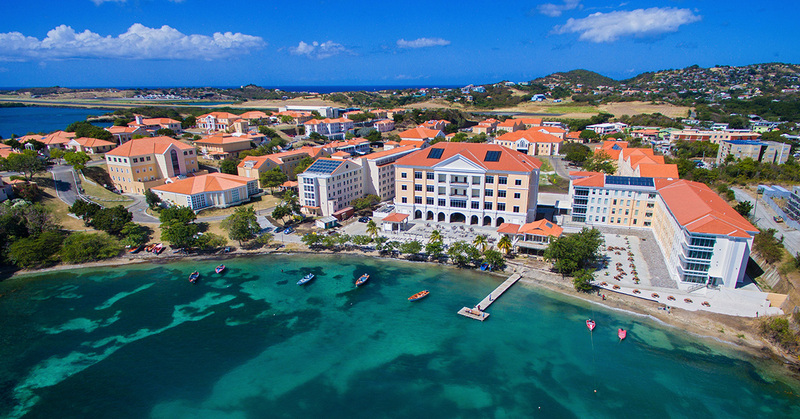 “Overall, the conference provides a time to learn, to enjoy Grenada, and give back to the island,” added Dr. Bonanno. Daniel Herr, MD ’81, an associate professor at St. George’s University and chief of critical care services at University of Maryland Medical Center, also returned to the island he once called home. As a recognized expert in the field of critical care, Dr. Herr is often invited to speak at medical conferences on topics concerning novel/new treatments and therapies for crucially ill patients. 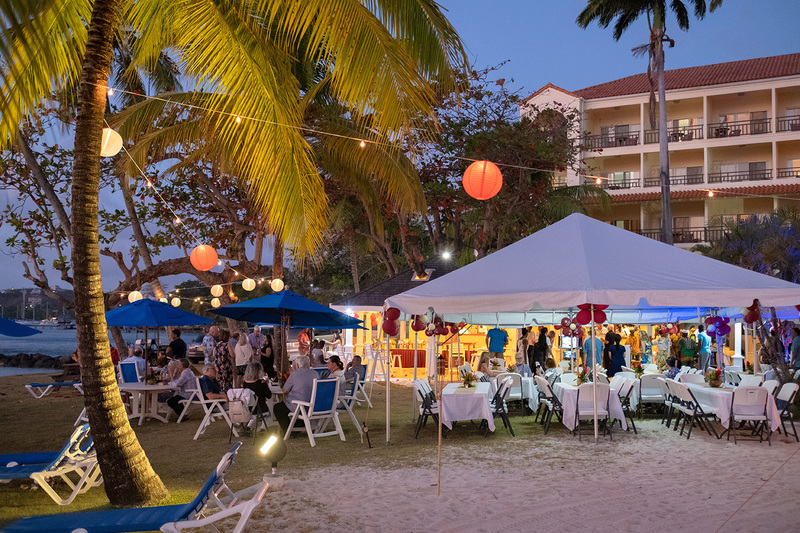 Additionally, the SOMAA provided plenty of opportunities for attendees to soak up some sand, sea, and fun while relaxing on island. 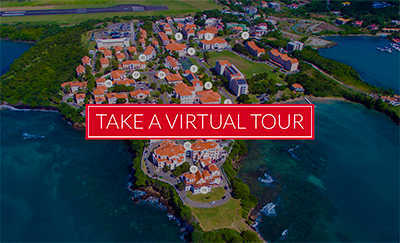 The group enjoyed a sightseeing tour of Grenada’s natural beauty; lunch at Belmont Estate, a fully functional and historic plantation; a shopping tour of Grenada’s capital, St. George’s; a Catamaran VIP day cruise including snorkeling and a visit to the Underwater Sculpture Park and Hog Island; and a closing sunset dinner at Louis and Marion Modica Hall.